Medicinal herbs for diabetes have been a part of traditional medicine for thousands of years. Any herb intended as a treatment should focus on lowering blood sugar levels and reducing some of the damaging effects of the disease. The use of medicinal herbs for diabetes treatment can be an essential addition to the overall management of the disease and should be regarded as a part of a holistic approach that addresses proper nutrition and a good exercise program. It is important to visit a medical professional for proper diagnosis and the available treatment for the disease. After a diagnosis of diabetes is confirmed it is important to continue follow-up care, monitor blood glucose levels, and education to ensure the best treatment possible. Cinnamon has begun to find favor with modern science as one of the more viable herbs for diabetes treatment. The active ingredient, methyl-hydroxy chalcone polymer (MHCP), has been shown to increase the body’s cells’ sensitivity to insulin. This helps improve the efficiency of insulin and increase the conversion of glucose to energy. It has even been claimed that cinnamon may triple insulin’s efficiency, whether natural or injected. It also has anti-oxidant properties that help to reduce the damaging effects of diabetes. Bitter melon has been used extensively in traditional medicine for the treatment of diabetes. Its blood sugar lowering capabilities has attracted people with diabetes to this herbal supplements for centuries. Charantin, one of the active ingredients in bitter melon, has been shown to be a potent hypoglycemic agent. It has similar effects to many hypoglycemic drugs used in diabetes treatment. Momordica, another active ingredient, has insulin-like effects, further decreasing blood glucose levels. Due to the potent hypoglycemic effect, this supplement should be taken with care when using medications to control diabetes. 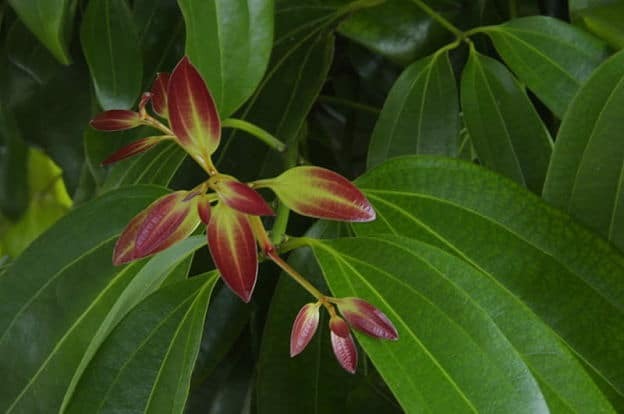 Malabar kino (Pterocarpus marsupium) has been used in Ayurvedic medicine for diabetes treatment for a long time. In clinical studies, it has been shown to provide a blood sugar balancing property. In studies involving rats, this herbal treatment for diabetes even showed promise in rejuvenating damaged beta cells in the pancreas. This is the only herb, or drug, with this potential. Gymnema sylvestre has been called the “sugar killer” due to its ability to reduce sweet cravings. Gymnema helps the pancreas with insulin production in type 2 diabetics and increases the sensitivity to insulin in type 1 diabetics. Fenugreek (Trigonella foenum-graecum) has strong anti-diabetic properties, as well as triglyceride and LDL cholesterol-lowering effects. It has also been shown to support HDL (good cholesterol) levels. Defatted fenugreek seed powder has been shown in studies to increase glucose tolerance and decrease fasting blood glucose levels after as few as seven days. Goldenseal (Hydrastis canadensis) has strong hypoglycemic properties and insulin supporting effects, as well. Although not as rapid as bitter melon, the blood sugar lowering effects of this supplement make it an excellent pre-meal supplement to increase glucose tolerance. Its insulin support also increases the glucose-lowering effect. 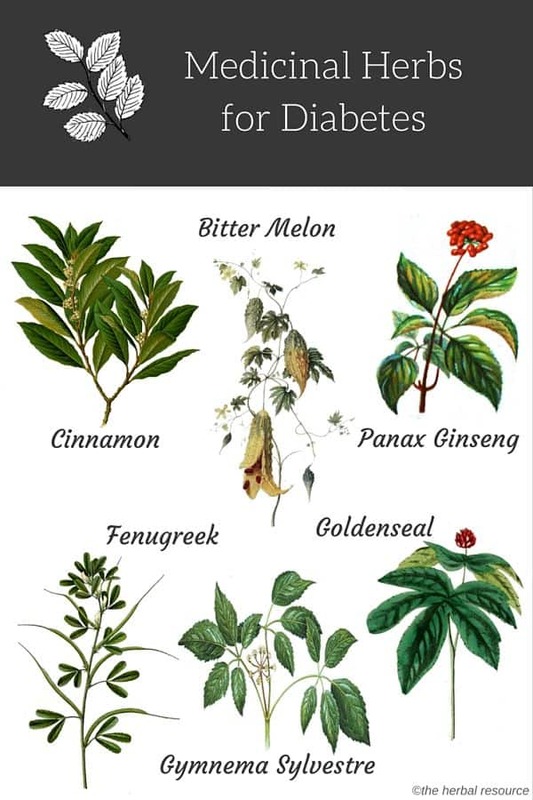 Panax ginseng has many health-boosting properties in all individuals. Those with diabetes may benefit from direct blood sugar control, increased insulin secretion and the number of insulin receptors, and an increase in energy. Panax ginseng has also been shown to support cardiovascular function and support blood vessel health and tone, a common problem for those with diabetes. The fruit of prickly pear cactus (Opuntia spp.) is very high in fiber. It has antiviral and anti-inflammatory properties and has been used traditionally as a treatment for diabetes, high cholesterol, and hangovers. Preliminary studies have shown that prickly pear cactus can decrease blood sugar levels in people with type 2 diabetes. This effect is thought to be due to substances in the fruit that have similar properties as insulin. More thorough studies are needed though to fully confirm the fruit’s usefulness as a herbal diabetes treatment. Herbal Remedy for diabetes – cinnamon. Why don’t herbalists specify that there are important differences between herbs that balance blood sugar/insulin levels whether high or low (e.g. fenugreek, dandelion root/leaf, maritime pine bark), and herbs that only lower blood sugar, which is dangerous for chronic hypoglycemia and those times when too much insulin is affecting diabetics? Please consult an herbalist before you self-medicate with these plants. For example, it’s dangerous to take goldenseal for a long time unless 10% or less of a formula. And if you are diabetic you will need to monitor your blood sugar constantly as you try the herbs.